In this, the month of October, we at Joseph Campbell Foundation are celebrating the theme of masks; a theme apropos, I think, for October and Halloween. After all, it is the time of the year when the comfortable infinite space of light diminishes and the obverse–but no less infinite–darkness gathers, conjuring monsters, spirits, bad dreams, and those things that go bump in the night. What time of year could be better, therefore, for turning to Joseph Campbell’s four-volume series The Masks of God, a singular example of his masterly command of story-telling, and of the impressive depth and breadth of his scholarship? 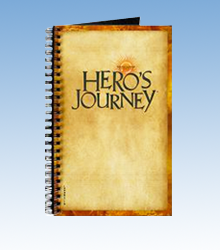 The series focuses on Primitive Mythology, Oriental Mythology, Occidental Mythology, and finally, Creative Mythology, and reflects the musings of a writer and a scholar at the top of his game. Campbell’s ability as a writer, crafting these volumes in such a way so that an extraordinary aggregate of information is conveyed in as clear and concise a manner as I can imagine, is clearly on display in these volumes. Looking back today over the twelve delightful years that I spent on this richly rewarding enterprise, I find that its main result for me has been its confirmation of a thought I have long and faithfully entertained: of the unity of the race of man, not only in its biology but also in its spiritual history, which has everywhere unfolded in the manner of a single symphony, with its themes announced, developed, amplified and turned about, distorted, reasserted and today in a grand fortissimo of all sections sounding together, irresistibly advancing to some kind of mighty climax, out of which the next great movement will emerge (Joseph Campbell, The Masks of God, Vol. 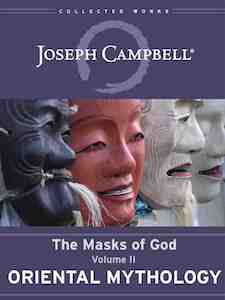 II: Oriental Mythology (San Anselmo, CA: Joseph Campbell Foundation), “On Completion of the Masks of God”). 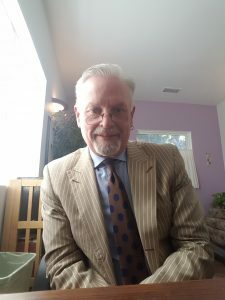 Additionally, I think that it’s fair to note that in the contemporary state of geopolitical and geocultural affairs, many differences between the Western World and Asia are being gradually erased by the process of globalization which is essentially, it seems to me, a process of Westernization and corporate capitalism fueled largely by manufacturing and advances in technology, and cultures that were once remote and largely unfamiliar to one another may now, in some respects, share surprising similarities and values. While mindful of the “single symphony” playing in the background, the most striking of the traditional differences between Asia and the West is their differing conceptualizations of ego. In the Western World, and perhaps particularly here in America, the emphasis has been on developing an individual ego, an individual self, separate from and unique to the millions of other egos and selves in the country. The myth of a lone, rugged, resourceful individual, placed at a specific point on a linear understanding of history, armed with a moral code, a higher truth, or greater skills, and set against the malevolently illiberal, unaware, foolish, or frightened masses, is the story that stirs the American imagination. 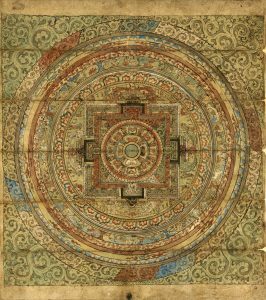 In Asia, history is circular, the “myth of eternal return” is omnipresent in forms that appear and reappear throughout the course of history: the orbits of the sun, the cycles of the moon, the year, and those cycles of life and death. Individual effort cannot fundamentally alter anything; people are not separate from the world, nor are they merely in the vicinity of god, but rather, the task of the individual in traditional Asian culture is to “order his mind as to identify its consciousness with the inhabiting principle of the whole” (Oriental Mythology, “The Signatures of the Four Great Domains”). Based on his studies of Oriental Mythology, Campbell comes to regard what he calls “mythic identification,” referred to in this volume and also in Myths of Light: Eastern Metaphors of the Eternal, as among the most important of concepts. The idea is that individuals are not in a relationship—separate and other in the field of time—to the objects of religious awe, but instead each individual has the potential to experience that the object of religious or mythic awe is themselves! Each one of us has within ourselves all the gods and demons, all the heavens and hells, all the divine mysteries that fascinate, inspire, and menace. 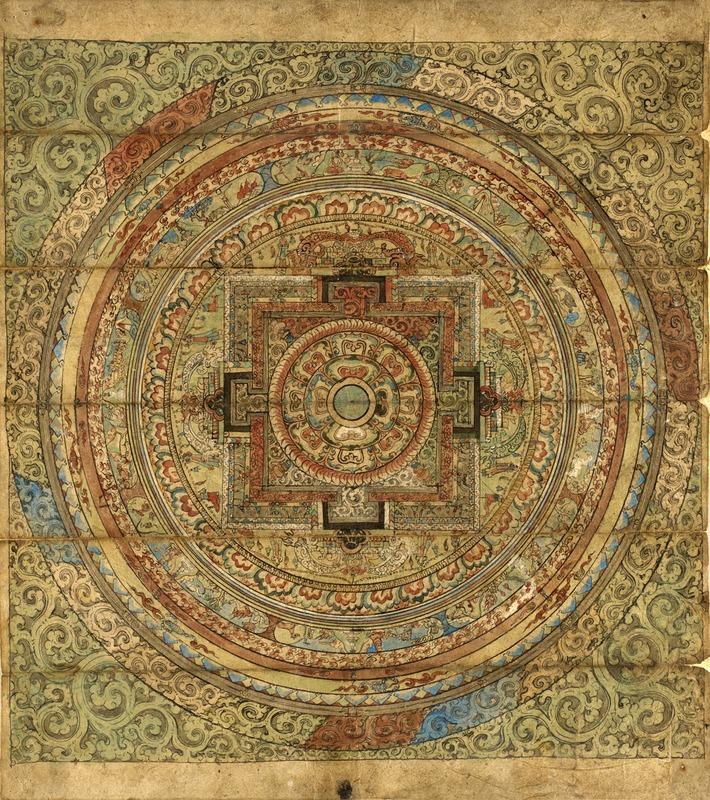 As Campbell beautifully ends this volume, the Eastern effort toward mythic identification and its transcendent realization is “the nectar of the fruit of the tree in the garden that Western man, or at least a notable number of his company, failed to eat” (Oriental Mythology, “Tibet: The Buddha and the Great Happiness”).